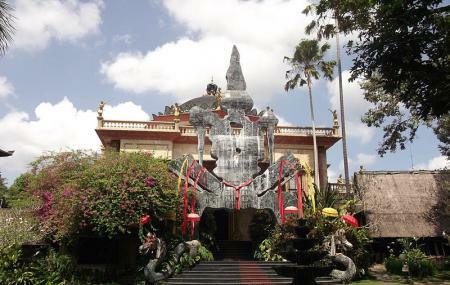 This flamboyant building, a unique blend of Balinese architecture imbued with the spirit of his native Spain, houses an interesting collection of works drawn from different periods of long career of Blanco. During his life it was visited daily by hundreds of people from all over the world. The artist, full of "Catalan charisma," earned himself the sobriquet "The Fabulous Blanco," an expression that mirrored his talent for creativity. Photography without permission is not allowed. For group tours, get in touch with the museum’s information center. The reduced ticket for a group of tours is available. The museum is open daily, including Sundays and holidays. How popular is Don Antonio Blanco Museum? People normally club together Taman Ayun Temple and Neka Art Museum while planning their visit to Don Antonio Blanco Museum.